Ever since he took a bite of a legendary dessert last summer, twelve-year-old Guster Johnsonville has never been the same. In fact, when a strange little man dressed as a conquistador comes clattering into the barn at the back of the Johnsonville farmhouse one afternoon, he forces Guster to face the truth: Guster is now the most delicious thing in the whole world, and a terrible monster is coming to eat him. The monster is one of the Yummies—a pack of horrible, ferocious creatures with an appetite for sweets. 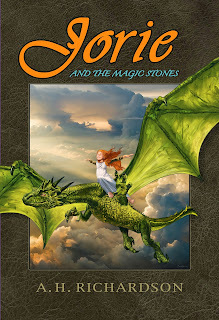 What other choice do Guster, Zeke, and Mariah have than to run away from home to escape the mysterious beast? On the run in a far corner of the world, Guster and his siblings discover a secret settlement known as the Delicious City. Now, with the Yummies hot on their trail and the Delicious City’s Mayor determined to feed Guster to the beasts, Guster must embrace his talents as an Evertaster if he’s going to save the city from collapsing and get his family out alive. In between books, Adam Glendon Sidwell uses the power of computers to make monsters, robots and zombies come to life for blockbuster movies such as Pirates of the Caribbean, King Kong, Transformers and Tron. After spending countless hours in front of a keyboard meticulously adjusting tentacles, calibrating hydraulics, and brushing monkey fur, he is delighted at the prospect of modifying his creations with the flick of a few deftly placed adjectives. Opening: As I awake, a recording begins with family love and many grins. Summary: An adorable baby tells a modern tale about life in today's digital world. When baby wakes up, his day begins with a click. Likes, hearts and thumb ups follow him throughout the day as his parents snap, record and post his every move to social media and networks. 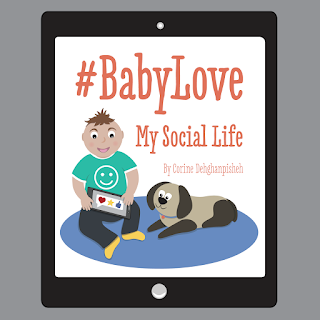 A modern day tale from the point of view of a baby showcases how we use (and in my own personal opinion, sometimes overuse) technology and social media to stay connected with family and friends. 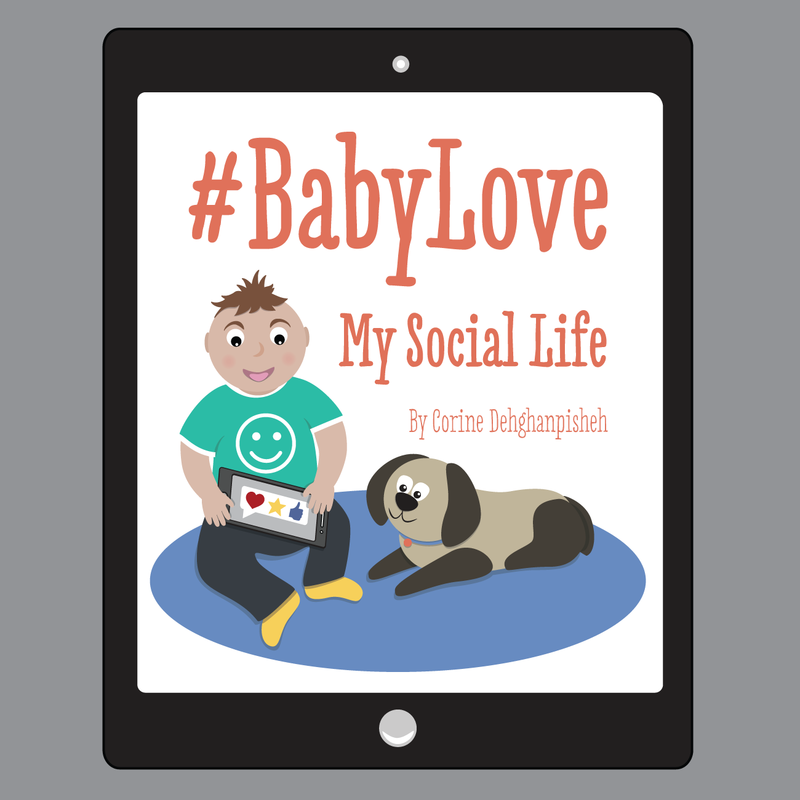 I believe parents who enjoy capturing and sharing their children’s milestones and activities will find #BabyLove My Social Life entertaining. 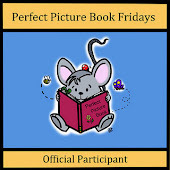 While I was not a huge fan of the illustrations, they are bright and colorful and will be sure to catch the eyes of little ones. Since inheriting her mother’s sandwich shop, Nora Charles is more about hot grilled paninis than cold-blooded murder—until her sister Lacey is arrested. The victim, an esteemed art collector and Lacey’s bullying professor, was stabbed in the heart. Apparently, all over a lousy grade. Off campus, things were just as dicey. The prof had an ex with secrets, a trophy wife set to inherit a fortune in masterworks, and a scorned student mistress. Going undercover, Nora realizes that investigating this crime is the biggest test of her sleuthing career. Because if she fails, even Nick’s animal instinct won’t be enough to rescue Lacey from a perfectly executed framing. Praise for The Legacy Human “This book is Hunger Games (without the violence or controversy) meets Divergent.” “This story is so intense I felt I couldn’t get a proper breath.” “Science fiction with philosophical depth!” The Duality Bridge What does it mean to be human? Elijah Brighton is the face of the Human Resistance Movement. He’s the Olympic-level painter who refused an offer of immortality from the ascenders—the human/machine hybrids who run the world—in solidarity with the legacy humans who will never get a chance to live forever. Too bad it’s all a complicated web of lies. Worse, Eli’s not even entirely human. Few know about the ascenders’ genetic experiments that left him… different. Fewer know about the unearthly fugue state that creates his transcendent art—as well as a bridge that lets him speak to the dead. But the Resistance is the one place he can hide from the ascender who knows everything the fugue can do. Because if Marcus finds him, he’ll either use Eli for his own nefarious purposes… or destroy him once and for all. The Duality Bridge is the second book in the Singularity series and the sequel to The Legacy Human. This thrilling new young adult science fiction series explores the intersection of mind, body, and soul in a post-Singularity world. I concentrate on handing the painting to her, resisting the almost overwhelming urge to touch her. Hug her. Make some excuse to get closer. It shames me to want something from her that no decent ascender would give. A pet can kiss its master, but the master won’t kiss back. Not the way I want her to. Lenora is buying my art because she’s kind and decent… and all my base human brain can think of is putting my hands on her. And how soft her ascender lips would feel. “Thank you.” My words are hushed. There’s shame in my eyes, so I drop my gaze to the floor. 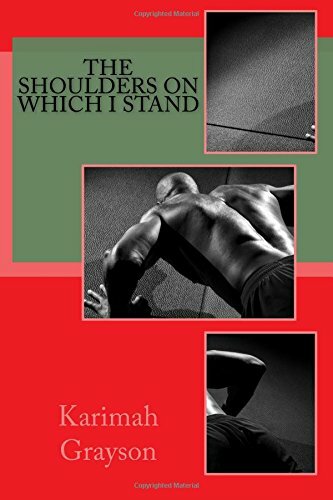 Today's interview is with Karimah Grayson, author of The Shoulders On Which I Stand. Karimah recently began writing in the little known genre of Muslim fiction and looks forward to sharing the Muslim American experience with the world. Can tell us a little bit about yourself and your book, The Shoulders On Which I Stand? My name is Karimah Grayson. I have been married for more than 25 years and am the mother of four. I also have two grandsons. Currently I’m a Social Science teacher for high school. I live in Broward County, Florida. I’ve been Muslim my entire life. I grew up in Philadelphia at a time when all the Muslims knew each other. 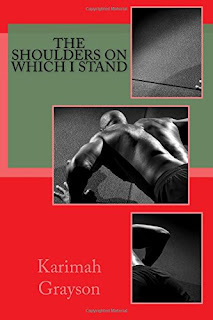 “The Shoulders On Which I Stand” is my debut novel. 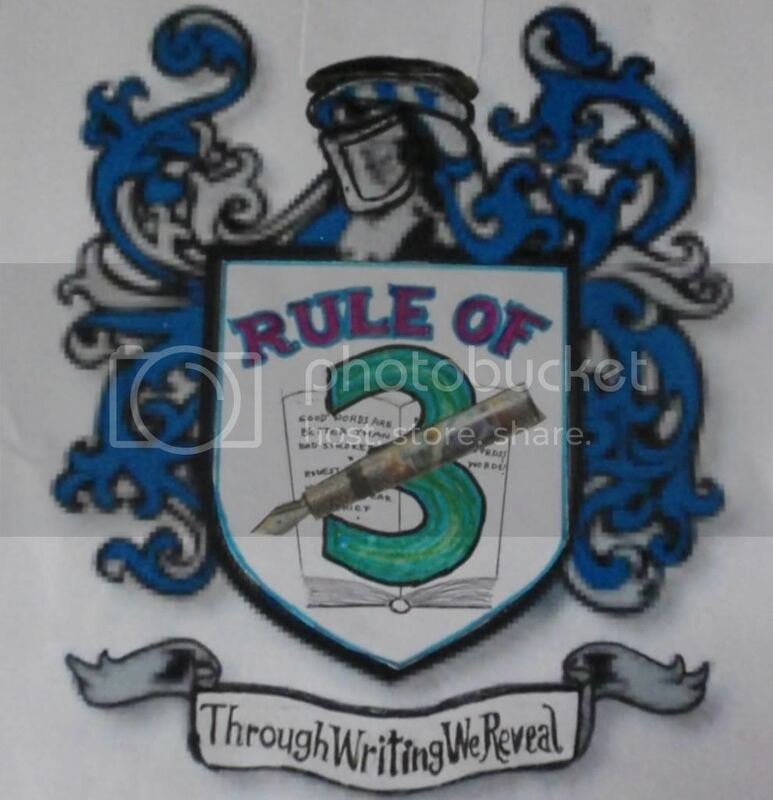 It chronicles a time in the life of Daria Van, who is a US History Teacher. While teaching, she teaches more than the standard history provided in the textbooks. She ensures to include all of the ethnicities of the country. However, her principal doesn’t like that she is going outside of the textbook and causes a lot of turmoil for Daria. On the home front, she finds out her husband takes a second wife. While she doesn’t mind that he took a second wife, she does get upset when he disrespects her and his second wife. Daria begins receiving threatening calls and cars following her and her children. Because she doesn’t know what to do, she turns to her brother who’s been on the run for more than twenty years. This story takes twists and turns of emotions and different situations. I cannot tell too much more because it will be a spoiler alert. What inspired the book were the various stories that I’ve read through the years of teachers being fired or disciplined for teaching African-American history beyond what I termed, the African-American History Trinity (Dr. Martin Luther King, Jr., Rosa Parks, and Harriett Tubman). I imagined what it would be like if a principal went beyond his means in making someone stop teaching something he disagrees with. 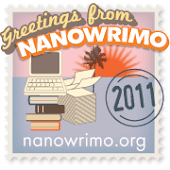 Highlight some of your achievements and challenges while working on your book. While working on my book, some of my achievements were improving my showing versus telling. Also, I decided to go the independent publisher route and by doing that I found various entryways into marketing my book after it was published. On the other hand, some of my challenges while working on the book were working on description of characters and settings. I found myself doing a lot of research on character development and setting development to work through those challenges. I write the story first and then edit the story. Five positive words that describe me as a writer are determined, excited, enthralled, tenacious, and serious. Thank you so much, Ms Grayson, for taking time out of your busy schedule to share your writing journey with us.